As reported by the BBC, The Towering Inferno and Death On The Nile director John Guillermin has died. The cause of death was reportedly a heart attack. He was 89. Guillermin was born in London in 1925 to French parents, and after attending the University Of Cambridge and then joining the Royal Air Force, he returned to his parents’ homeland at 22 to make documentary films in France. He only stayed in Europe for a few more years, though, and moved to Hollywood in 1950 so he could study filmmaking. There he developed a reputation for being a perfectionist with a special talent for big-budget films full of grandiose effects. Both of these served Guillermin well in 1974 when he made The Towering Inferno, which is still regarded as one of—if not the—best movies of the disaster film trend in the ’70s. Guillermin and the studio gathered a bunch of big names for the cast, with Steve McQueen and Paul Newman fighting so hard for top billing that they were both guaranteed the same pay and number of lines. 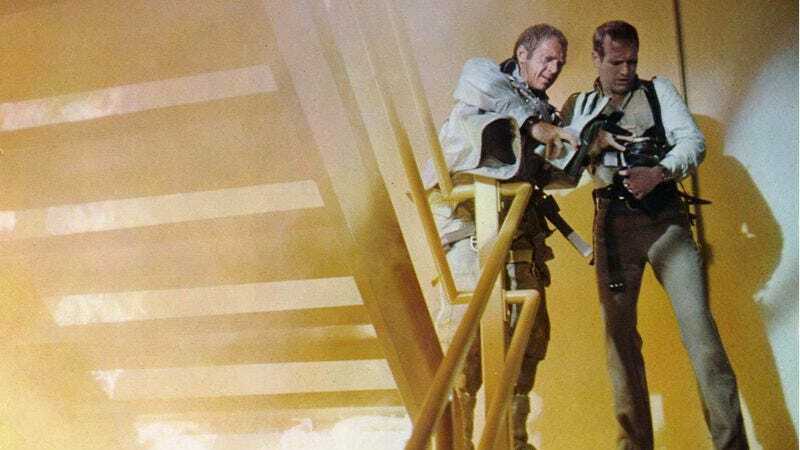 The Towering Inferno was nominated for eight Academy Awards, and it took home three. Shortly after The Towering Inferno, Guillermin helmed the critically divisive 1976 King Kong remake, which replaced some of the wonder of the original with a campier tone and switched out the Empire State Building for the World Trade Center towers (which were only a few years old at that point). It also launched the career of Jessica Lange and spawned a poorly received sequel, King Kong Lives, which Guillermin also directed.